I know it's been a while since I last blogged, but a lot has been going on. 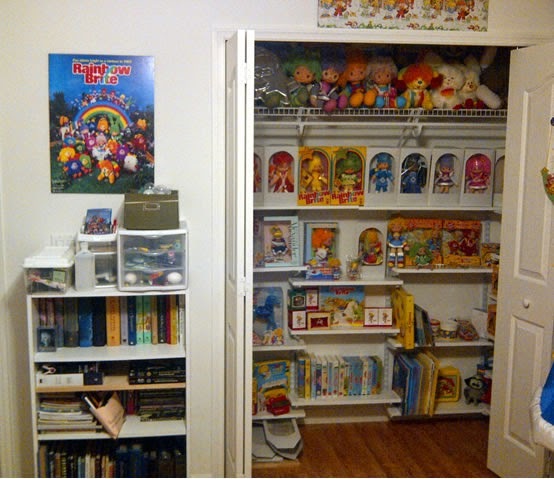 1: I think I pretty much finished my "Rainbow Room"
I still have a few boxes to make so I can box some variant dolls. I'm hoping that with the cleaned space I can start video blogging from this area and give you all updates on products and tips on collecting. 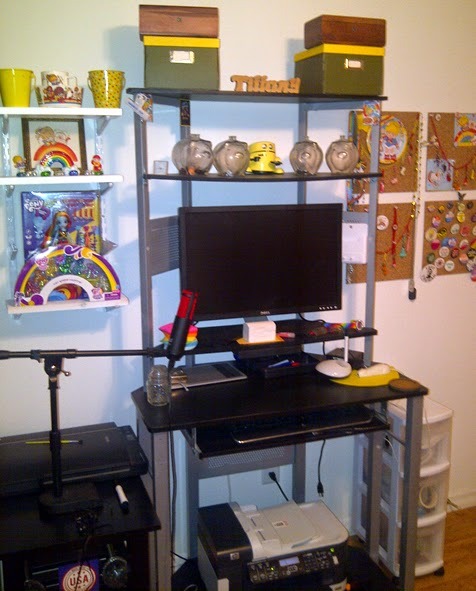 2: Brite Cast: the Rainbow Brite Podcast: had it's 1 year anniversary. I'm working on getting a new website designed and working on upgrading the video software for the video casts. 3: the RainbowBrite.Co.Uk website had a theme overhaul, and I'm still working out a few bugs trying to get the whole website up to date. Due to some server issues I couldn't update the website in months, and have been working moving everything to a new server and getting it restored and upgraded. You have no idea how much of a pain this process was, but I'm happy it was successful. Since it is a New Year I will try to set a few goals for the year. 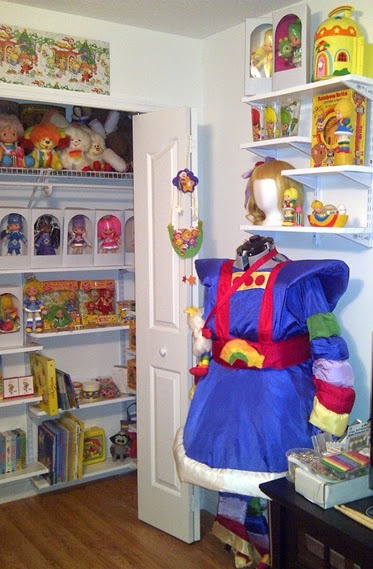 3: Refining my Rainbow Brite Costume. My shirt and boots need to be completely remade. My measurements weren't right when attempting to enlarge the costume to adult size. 4: Show off said costume at a convention! More news on that as I settle the details. Anyway, until next time, keep the rainbow alive!